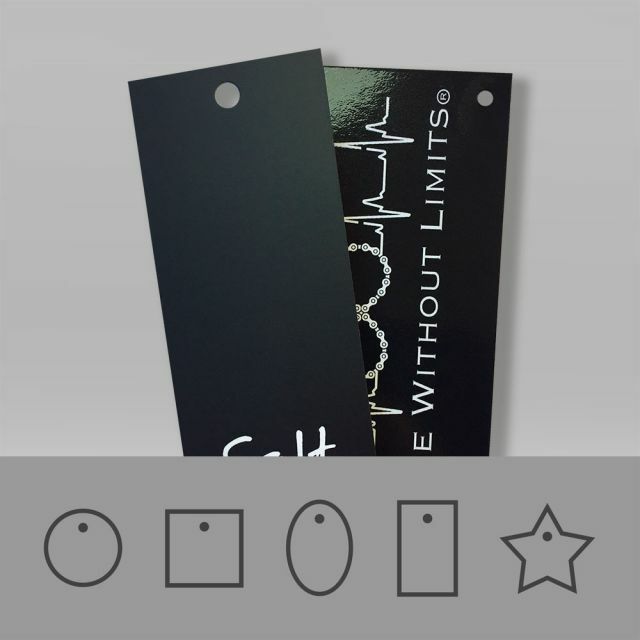 Try Our Grey Board Swing Tags. On-Trend, Recycled & Rustic. Bare as the day it was born! A natural unbleached, recycled 500 micron greyboard that’s very on-trend. A perfect choice for the earth-conscious while adding tons of style to your offering. 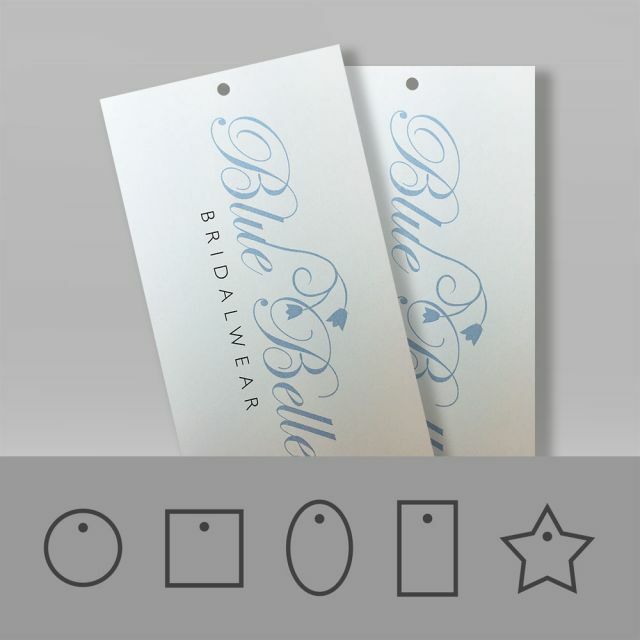 Our grey board swing tags contain 100% recycled fibre. Due to its nature, the shade may differ from one tag to another, but that adds to the overall beauty in our opinion. The double sided grey board surface has a rustic, unrefined feel with varied fibrous flecks running throughout adding to its charm. Choose from four different corner options. 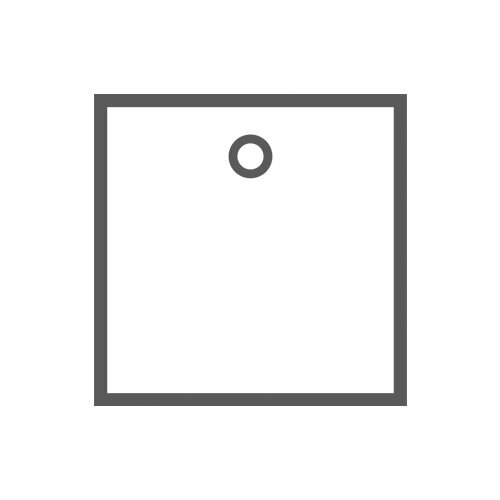 Square being the most popular and comes as standard with your tag order. 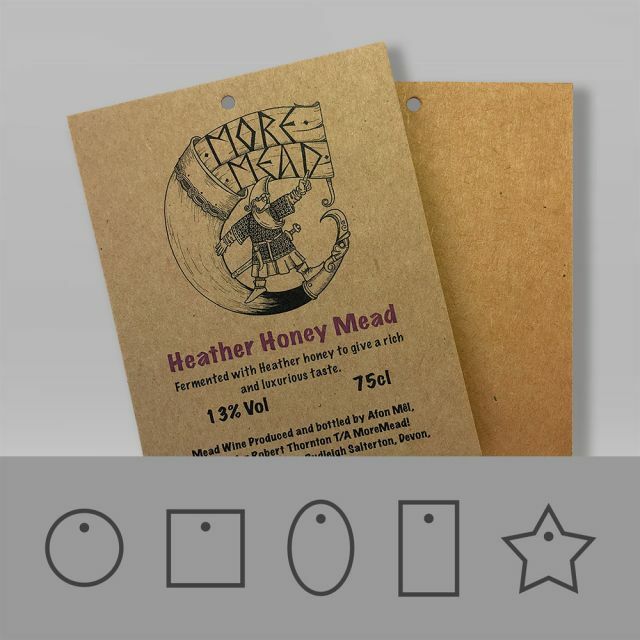 If your design or brand guidelines demands something more bespoke then your choices are a 2mm or 7mm radius corner which will soften the look of your tag but give it a professional custom appearance. 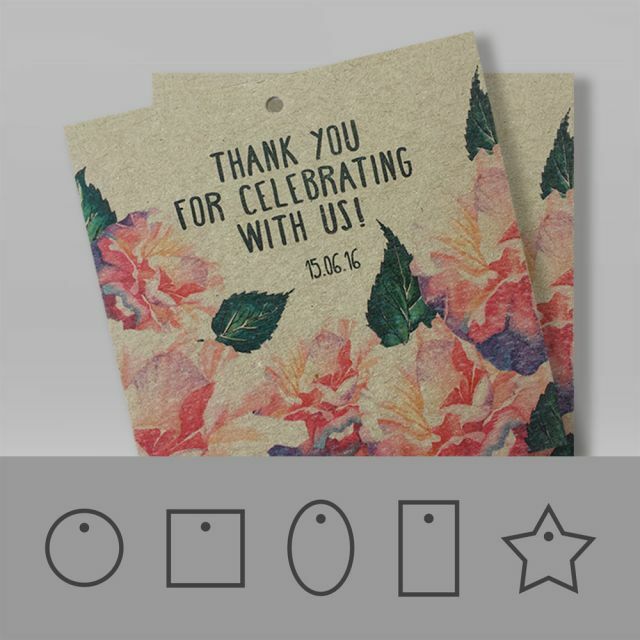 If your needs are more traditional then choose our luggage corners also known as angled corners, the perfect choice for gift tags to create an authentic style. 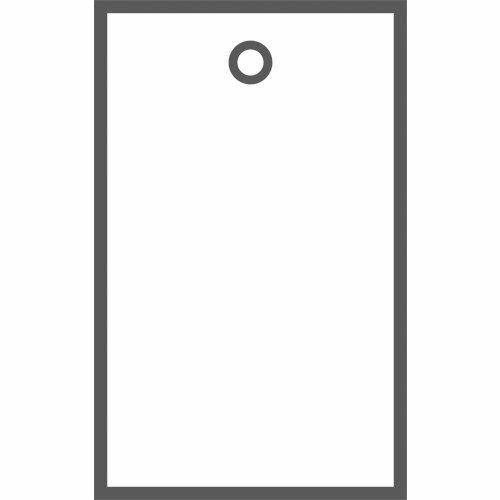 Do you need a custom shaped corner that’s not offered? That’s not a problem either, head over to our custom swing tag page and start by adding the maximum width and height into the custom field of your chosen tag material for an instant price. We offer three drill hole positions as standard. Most popular is Top Centre but if this doesn’t suit your design, either Top Left or Top Right positions can be chosen. 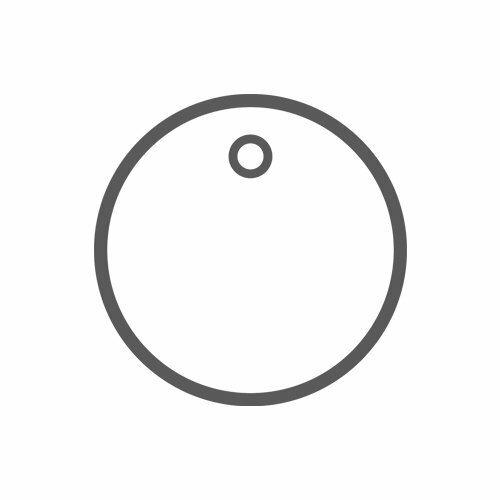 PLEASE NOTE: Always refer to a tag by viewing it in it’s HANGING POSITION, with the drill hole at the top of the tag. Whenever you create a tag design or view a PDF proof this is the correct process. Understanding this simple tip will help you avoid potential confusion with your tag order. On trend and very hip! Also known as cardboard labels and cardboard tags. 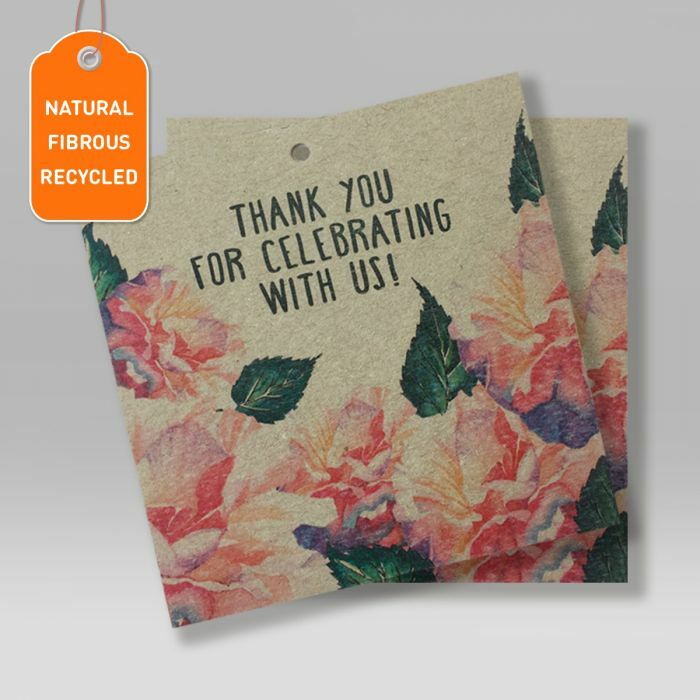 An eco-friendly choice to promote handmade crafts and vintage items. A big favourite in the artisan's marketplace. 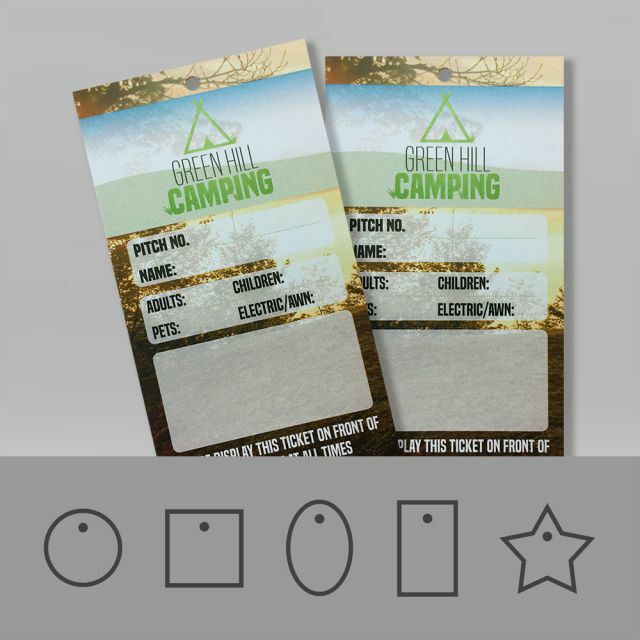 You will receive your grey board recycled swing tags printed in high quality, using a CMYK printing process. 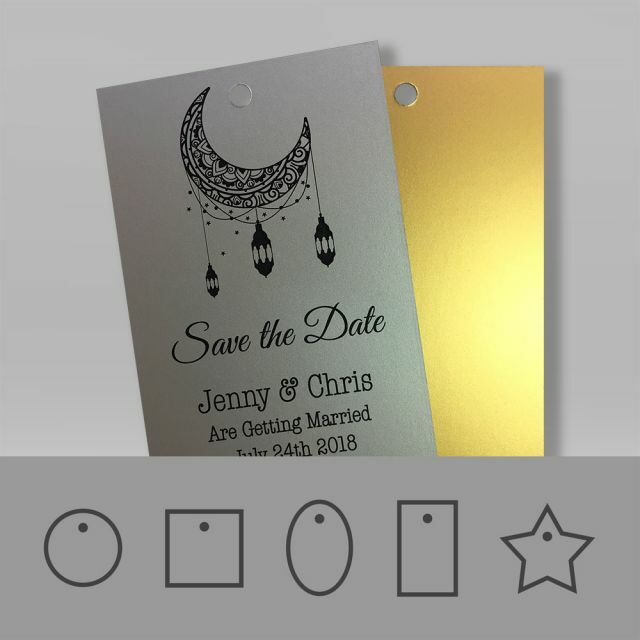 You have the option of printing your design in single or double sided if required. We do not offer a laminated option in this range as this goes against its ethical nature. Please check out FSC® Recycled for further information. 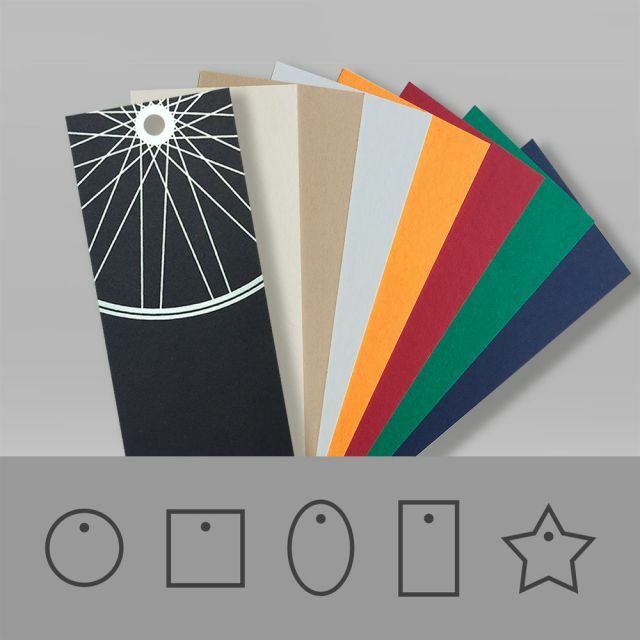 The printed colours of your chosen custom design will appear slightly darker due to being printed on a grey base material compared to a white surface. 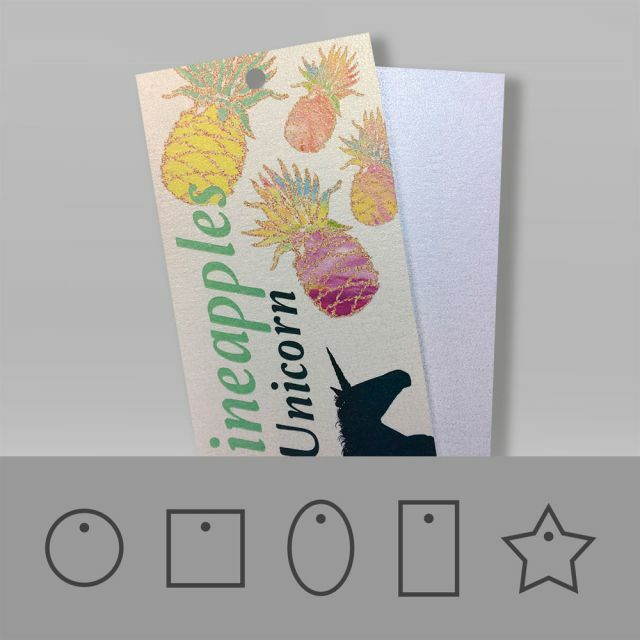 The uncoated grey cardboard can be written on with a ball-point pen, permanent marker or a pencil. Do you need a quick delivery? We can help you with that too. Fast turn around times can be achieved within 48 hours of PDF proof approval. 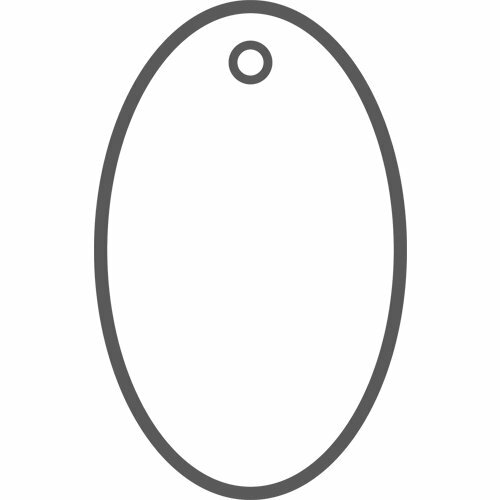 You may require a custom shape tag for your product or service. If so, let our friendly team help you along your order journey. 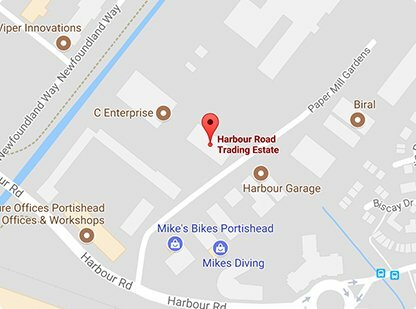 Call 01275 460517 or click to chat online, we’re here to help. • Trust us. 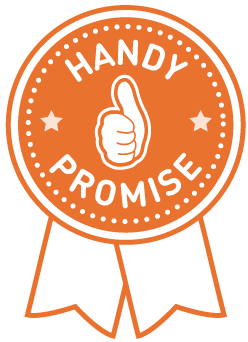 When we despatch an order it comes with our Handy Promise. • No hidden extra costs. VAT & Delivery included. 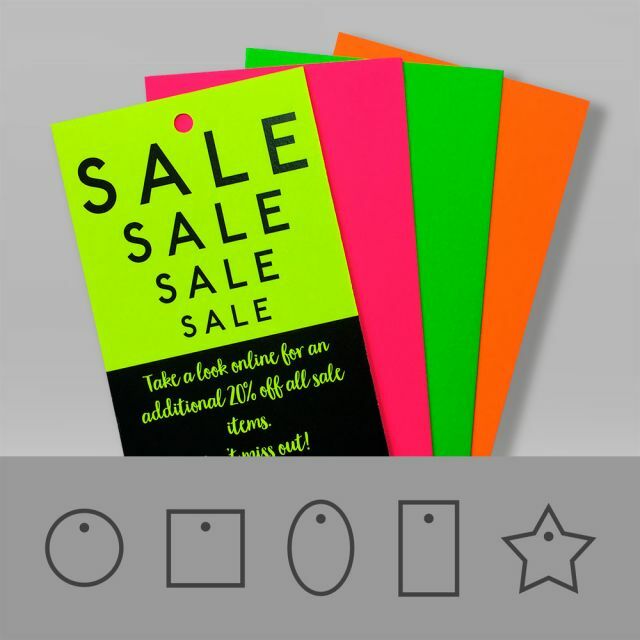 • The UK's largest selection of tag shapes, sizes and materials to buy online. 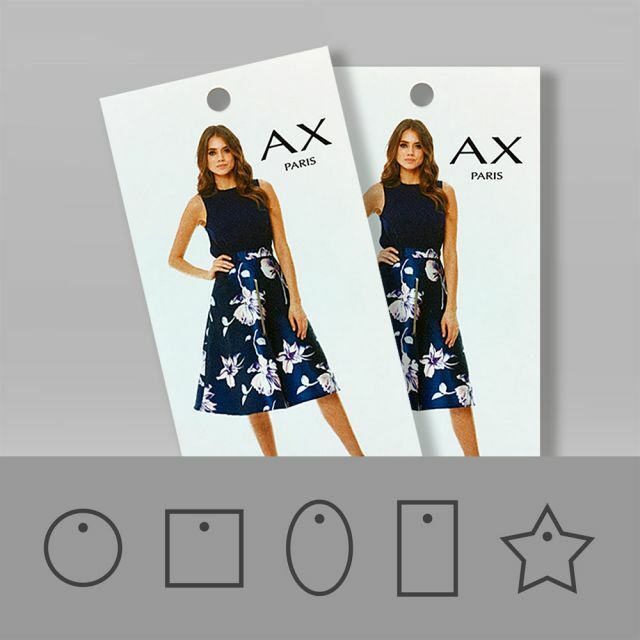 • FREE online Handy Tag Designer. • Easy to use online ordering system. • Loyalty has its benefits - claim your Handy Rewards. • Order approval to delivery in 3 working days, often less. • Great quality and value for money. • FREE sample pack service. • All work is produced in-house at our UK HQ. • We accept Credit/Debit Cards, Paypal, Cheque and BACS. • All artwork archived on our secure servers for easy reprints and colour matching. The Handy Tags team want every single one of our customers to be delighted with their order not just satisfied. We take great pride in the work we do at Handy HQ. 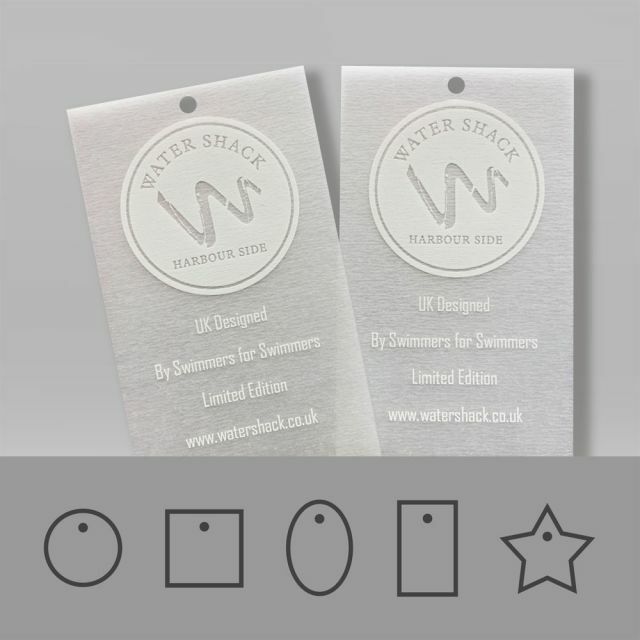 We’re so confident that you’ll love your tags, we promise to reprint your order or offer you a full refund if we don’t stick by our high standards. 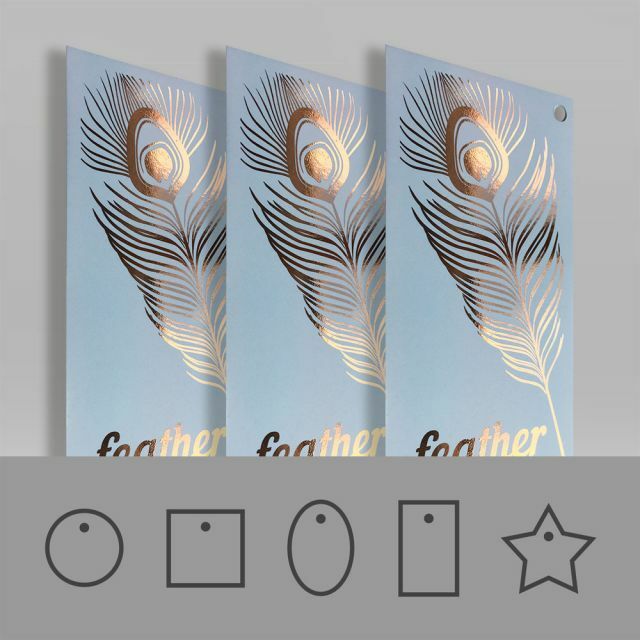 Design Online - Use our Online Handy Designer to create your artwork. Design My Artwork - Our designers will create your artwork for you.